People talk about recycling like it’s some sort of superhero—just by throwing that plastic bottle in the green bin, you’re doing your part to punch pollution in its oily kidneys and leave the world a greener, healthier place. And yeah, re-using old materials is a great way to reduce the impact on the environment . . . if it works. But sometimes the theory is better than the practice. 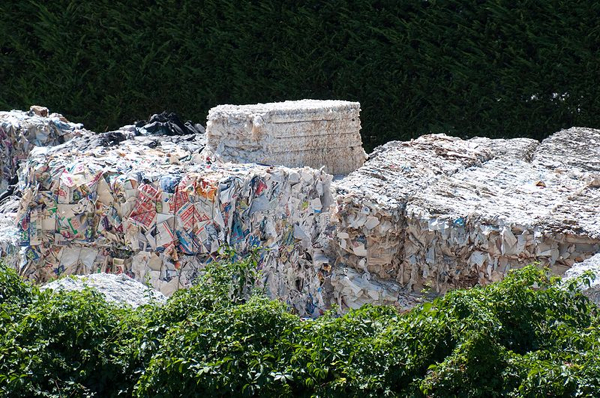 Here are ten ways recycling actually hurts the environment. Contamination is one of the biggest obstacles in the recycling industry right now. 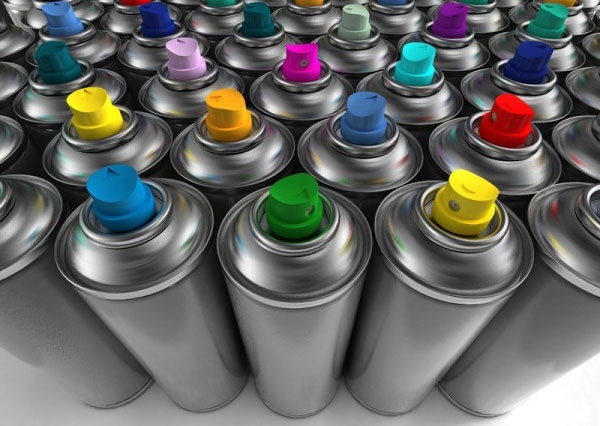 If there are impurities or toxins on the original material—say lead paint from an aluminum spray can—they’ll usually make it through the recycling process and end up buried in the new product, which might turn out to be, say, a soda can. The worst part is that sometimes we don’t know when something’s contaminated—until it’s too late. For example, we’re just realizing that hundreds of buildings in Taiwan made from recycled steel have been giving people gamma radiation poisoning—and not the good kind—for the past twelve years. The recycling process itself produces a lot of pollutants—from the exhaust billowing out of recycling trucks to energy used at recycling plants. 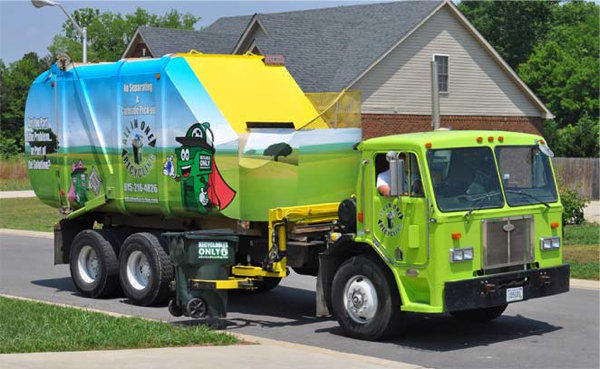 In 2009 there were about 179,000 waste collection vehicles on the road—that’s both recycling and garbage collection. 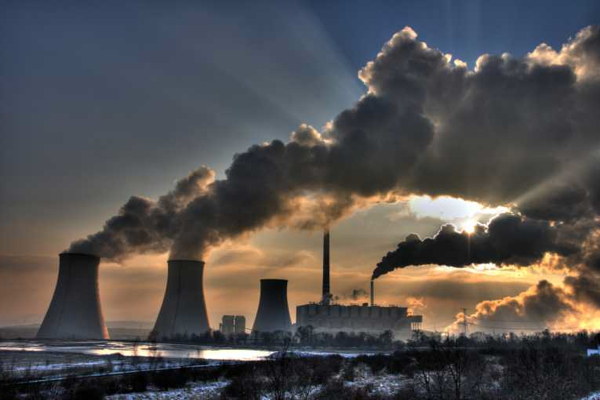 The exhaust from each one of those vehicles contains over three dozen airborne toxins. The thing is, you can’t separate garbage trucks from recycling trucks—there’s no lesser evil. They both run on fossil fuels, and they both produce exhaust. By adding more trucks to the fleet, no matter what their purpose, we’re increasing air pollution. And that’s not even considering the recycling facilities. One recycling plant in Washington state produces more toxic emissions than any other factory in the region. And the next three biggest polluters in the area? Yeah, they’re also recycling plants. 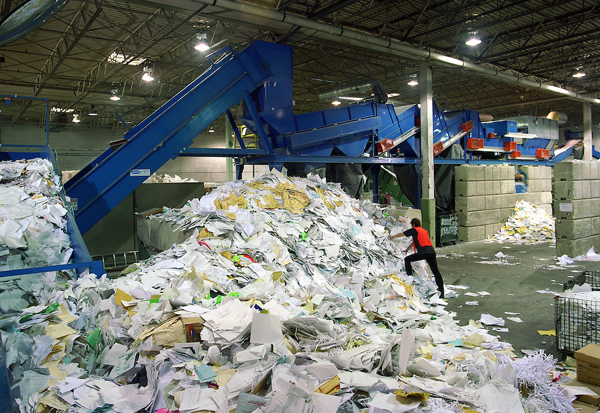 When paper is recycled, it’s all mixed together into a pulp. That pulp is washed, cleaned, and then pressed into new paper sheets. During that process, wastes like paper fibers, inks, cleaning chemicals, and dyes are filtered out into one giant pudding known as paper sludge. The sludge is then either burned or sent to a landfill, where it can leach dozens of toxic chemicals and heavy metals into groundwater. If you think that there would be regulations against that, you’d be right. But there’s one loophole: mixing anything else with the paper sludge, even just sand, turns it from waste into a product . And there are no regulations against tossing tens of thousands of tons of your product into a landfill. There are about seven types of plastic that you’ll find in day to day life, and only two of them are recyclable. Anything else placed in a recycling bin will be collected, processed, and sorted, and then thrown straight into a landfill. Even trying to recycle some things—for example the plastic that electronics are packaged in—wastes all those resources. But it gets worse: Plastic is automatically sorted at recycling plants, but the process is far from perfect. As a result some plastics can slip through even when they’re not supposed to, and you might end up with chemicals like BPA in plastics that aren’t supposed to have it. So in a weird way, recycling can make you fat. Plastic is a pretty tricky animal overall, but in all honesty, we just have no idea what to do with it. Take plastic shopping bags, for example. It’s estimated that fewer than one percent are recycled, and that might be just because it’s so expensive. 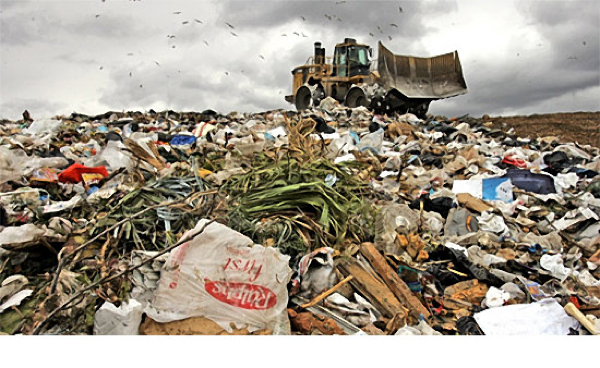 It costs $4,000 US to recycle one ton of plastic bags, but a ton of recycled bags only sells for $32! As a result, about 300,000 tons of them end up in a landfill every year. It’s obvious that oil is a pretty major pollutant—just look at any ocean spill from a capsized oil tanker. So it makes sense to try to recycle used oil back into something useful. But more often than not, recycling creates even more toxic chemicals in the process. Most small scale oil treatment centers use something known as the acid-clay process. This gets impurities out of the oil, but leaves you with a toxic sludge containing all of those impurities, plus dangerous chemicals like hydrochloric acid. So what do they do with that toxic waste? They burn it, sending chemicals like nitric oxide and sulfur dioxide into the air. And that’s pretty much the official method, even though it’s about as effective at fighting pollution as saving a person from drowning by throwing them in a lake. Demand for most recyclable products is growing way too fast to keep up with anything that recycling can—at the moment—provide. Aluminum is especially difficult, since demand for it grows a little less than ten percent every year. That means we’re still going to mine for new aluminum, especially since recycled aluminum isn’t suitable for certain things. For example, recycled soda cans can’t give you the quality you need to build an airplane, or even to use in electronic circuits. Even if the cans go back to being cans, it’s not enough. Here’s some math: The average American drinks 2.5 cans of soda per day. That’s about 778 million cans. 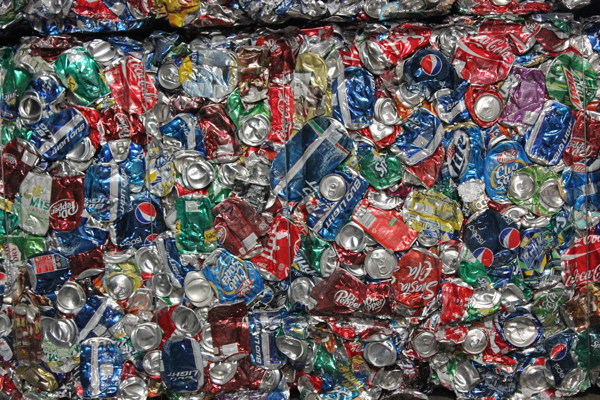 If 100,000 cans are recycled every minute (they are), we’re still about 600 million cans short. And that’s just in one day. Deforestation is one of the main arguments for recycling. Imagine acres of pristine rainforest, happy little animals, a native tribe or two—all bulldozed into oblivion. Except that doesn’t actually happen, because eighty-seven percent of new paper now comes from trees that are raised for the sole purpose of paper production. The US harvests about fifteen million acres of forest each year, but they’re planting twenty-two million – every year we have seven million more acres of forest. More recycling will actually reduce the demand for those forests. And then there’s glass, which comes from sand, the most abundant resource on the planet. The process for recycling glass is more detrimental than the process for creating virgin glass. One of the recent trends in recycling right now is all-in-one recycling. All the paper, plastic, glass, and metal waste goes into one recycle bin, which is sorted at the factory. The argument is that it requires fewer trucks to pick it all up. 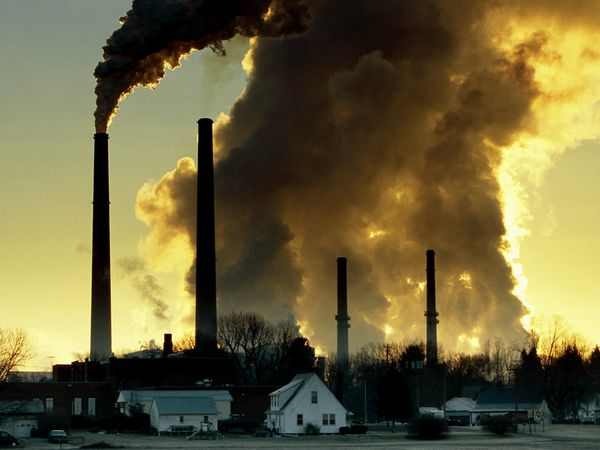 But the trade off is even worse—all that extra sorting requires millions of dollars worth of new equipment, and the pollution is just transferred over to the factories that have to build it. There’s also the problem of quantity over quality. All-in-one recycling centers focus on speed, which is already introducing extra contamination issues. The biggest reason recycling hurts the environment doesn’t have anything to do with the technical process—it’s the mindset it gives people. The idea is that by putting materials in the recycle bin, by buying products made from recycled material, we’re saving the environment—we’re all a team of individual Captain Planets, kicking pollution to the curb. 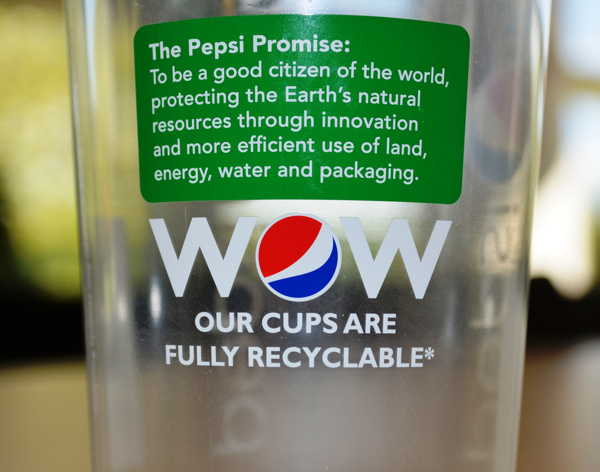 But how effective is that when the US alone still produces 250 million tons of trash every year? Recycling’s main impact is to convince us that it’s okay to be wasteful in other areas, because we make up for it through recycling. It encourages consumption, rather than pointing out ways to reduce consumption overall.